Breathe Easy. Energy efficiency improves health. Energy efficiency means using technology and best practices to produce the same or better levels of services, such as light, temperature control, or motor drive power, while using less energy. Or, to put it simply, it’s about reducing waste. Lowering the amount of energy we waste reduces our need to burn coal and other fossil fuels to generate electricity. 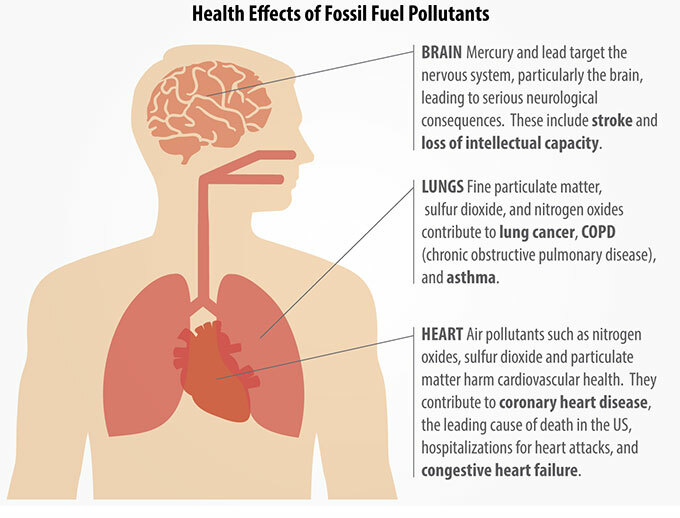 Those reductions in pollution mean big gains for health, as pollutants from fossil fuel combustion contribute to four of the leading causes of death in the United States: cancer, chronic lower respiratory diseases, heart disease, and stroke. These pollutants damage all the major organ systems in the body. Fortunately, a reduction in our reliance on fossil fuels will allow dramatic improvements to human health. That means that energy efficiency benefits health. For more information on the link between energy efficiency and health, download this joint fact sheet developed by the Physicians for Social Responsibility and ACEEE.